Alex Beresford Married Life Revealed Amid Gay Rumors, Who Is His Wife? 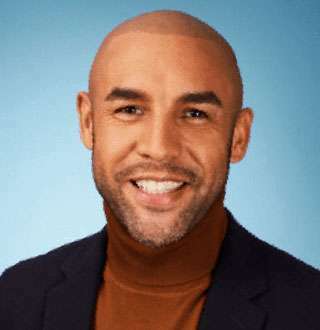 Home » Media » Alex Beresford Married Life Revealed Amid Gay Rumors, Who Is His Wife? A handsome hunk who leaves you swooning over his style and British accent while delivering weather forecasts --- Alex Beresford is a British Meteorologist best known as the weather forecaster for ITV Breakfast’s Good Morning Britain. He has forecasted weather for various other segments as well including Daybreak (2012), Channel 4’s series The World’s Weirdest Weather (2013) and Britain's Most Extreme Weather (2014). Besides being a meteorologist, he is also famous as the contestant for the 10th season of Dancing on Ice where he partnered with Brianne Delcourt. He was the seventh contestant to be eliminated from the show. He also participated in the game show The Chase: Celebrity Special in 2018. The Bristol, England native of age 38 was born on 17 October 1980. He grew up with his brother and parents from a different background; his mother (Caroline) was White British while his father is a British-Guyanese. Growing up, he saw his father, who was an engineer and his mother work round the clock in order to buy their own home. The weather forecaster with a height of 5’7 inches started off his career in 2004 as a teleprompter operator for ITV News West Country. Later, he received training as a weather presenter and in 2007 worked as a weather forecaster for ITV Weather. It was in 2012, he became a weatherman for Daybreak, but the show was axed in 2014 and replaced by Good Morning Britain. And since 2014 he has been serving ITV as a weather forecaster for GMB. As a meteorologist by profession, he is estimated to earn an average salary of $53,632. While working with ITV, he also presented Channel 4’s series The World's Weirdest Weather(2013), Britain's Most Extreme Weather (2014), and ITV’s Tonight (2016). He was also a member of the ITV team in Windsor for the Royal Wedding of Prince Harry and Meghan Markle. With a stylish demeanor and sweetly attractive personality, Alex too has fallen into the stereotypical assumptions of being gay. But the speculations are downright false and to put it into rest -- he is married to his wife, Natalia Natkaniec. He met his wife in 2006, and since then the pair has been inseparable. The couple, who loves traveling to exotic locations, also share an adorable son named Cruz who travels with them together as well. Isn’t Alex’s family a traveling goal -- nothing is more fun and gay than enjoying your free time relaxing with your family. Lisa Remillard Bio: Candid On Husband Pet Peeves, Where Is She Today? 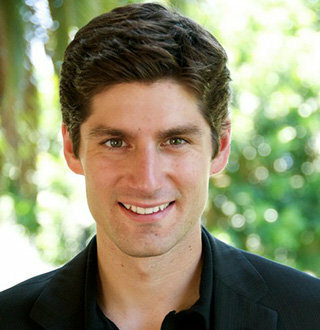 Show Host Ben Aaron, Wife Ginger Salary & Net Worth; Who Earns More? Bloomberg Anchor Vonnie Quinn Bio: Married Behind Camera, Family? Paris Dennard Age 36 Thoughts On Getting Married | Found The Perfect Wife?